Search engine optimization is a process in which a business optimizes its online content on the website to get a high rank in the search engine result pages. When we say search engine optimization, it includes other online presence such as directories, listings, social media pages, etc. These fall under the category of off-page SEO factors. The optimization efforts that you perform on your business website are known as on-page SEO factors. If we were to bifurcate the process of SEO, on-page SEO has a higher weightage compared to off-page SEO. With this in mind, you need to be extra careful when optimizing your website for a better SEO rank. To make this optimizing process easy for you, we have listed some common issues you may face when working on on-page SEO for your road construction website and how you can deal with them. Nobody likes a road construction that takes forever to get completed. Similarly, nobody likes to wait for long when loading a website. Now that you have started to look for on-page SEO issues, the very first thing to check for is your website speed. Open a browser and visit your website. If your website is taking more than 22 seconds to load, it’s an issue. Slow loading websites make online users impatient and disinterested. With a slow loading website, you are bound to get a high bounce rate. This talks badly about your website’s user experience, which in turn brings down your ranking. Also, if your website’s server response time is high, fewer Google spiders crawl your website and reduce the number of web pages that get indexed. With so many problems associated with a matter of few seconds, it’s time you made your website faster. The very first thing you need to do is determine what your exact web page load speed is and what could be causing it. PageSpeed Insights by Google is a great tool to help you find that. With the help of this tool, you will find out the overall performance of your website. The good thing is that it does not simply stop at giving you performance details, it also suggests some effective steps to rectify the problems in your website performance. You can also contact your website developer to find out if there is some coding error that is causing the loading speed issue. A broken link refers to a URL or a dead link that no longer has an existing destination. You may have experienced error pages when certain links do not load or exist. Now you may think what harm can a broken link have on your overall website? A lot actually. While you may think leaving a broken link will not have an effect on your website, it will actually irritate the visitors and divert them off your website. Broken links confuse the search engine spiders, who then tend to move on from your website and source for better options for an online user. Due to this, sometimes your functioning web pages can also get un-indexed. Having broken links on your website puts a bad light on your authority and professional seriousness as you do not have control over your own website. You do not need to sit and visit each web page to check for broken links. There are tools to do that for you. Google has a solution of almost everything, including broken links. Simply use Google Search Console and check for “crawl errors”. If any of your web pages are showing a 404 error, re-route the web page or just get rid of it. You could also try using the Screaming Frog SEO Spider to check for a broken link on your website. This is an issue that your website faces majorly when you have a global audience to cater too. However, it can have an impact on your local road construction website as well. Language declaration enables the search engines to detect the language of your website. This proves helpful in case a user wants to translate the content to a language they are familiar with. For example, for your Canadian masses, if you have a website in French, declaring the language will be easier for search engines to translate your website for users who do not speak French. This, in turn, will result in a better user experience. To solve this problem, you will have to get in touch with your developer to help you mend your HTML code to support language declaration. Alternately, you could include region specificity on your web page by using the rel=”alternate”hreflang tag. Plagiarism is a serious problem in online marketing that is not only a bad conduct but also a punishable mistake. Taking credit for someone else’s ideas and hard work is never good. Just because you liked some content, copying it without giving due credit to the original content will make you a plagiarizer. Plagiarism is an important factor based on which the search engines rank you. If you have copied content on your website, not only will your ranking go down but your website will also be red flagged and penalized. It is not necessary that one plagiarizes on purpose. Sometimes the content you add to your website can be very similar to something that someone is already using. So to avoid being labeled as a plagiarizer for using the same content again, make sure you do a plagiarism check before you use the content. There are simple yet helpful tools that can help you find if your content is already in use online. Copyscape is one such tool to try your hand on. It analyzes your complete content and informs you of similar content existing on the internet. The unique factor about Copyscape is that it can even read through a re-phrased sentence and synonyms to catch plagiarism. Search engine spiders are very smart when they are crawling on textual content. However, they are not able to comprehend images that easily. If you have a service page depicting the different type of roads you construct, but the images are not optimized, there is a chance of it not getting indexed properly as the images will not be identified by the search engines. Search engines are smart at reading text when they are crawling your website. However, they do not understand images. For this reason, you need to notify about an image to the search engine. This is done with the help of ‘alt tags’. Alt tags are HTML attributes that describe what is present in the image to make it visible for the spiders. Having alt tags in your images not only affects your SEO ranks positively but also enables you to feature in search engine image searches, which in turn brings more traffic to your website. Having your target keyword as an alt tags makes it even better as your image ranks well on the image search as well. The URLs are links that direct a user to the different web pages on your website. Earlier URLs were digitally generated so there was not much one could do. However, now you have the option to optimize URL for better user experience. However, still, many businesses do not follow this step. Non-optimized URLs not only confuse people but also search engines and decrease your SEO rank. You need to optimize your URLs! Add the page description as the extension to your main website URL and make it easy to comprehend. Adding keywords will work even better to rank well in the SERPs. Also, when adding more than one word in the URL, do not use ‘space’, use ‘hyphen’ instead. Do not have a really long URL. Just a short one that informs what the page consists of. Also, using lowercase is advisable. When you design your road construction business’s website, you ensure that you create the best website with HD images and informative service pages. But did you plan something for a mobile website? Canadians are one of the highest users of mobile. If your website is not developed to be mobile-friendly, imagine the amount of traffic you are missing out on! A non-responsive website is the one that does not easily adapt to a mobile interface. This causes the website to load slowly on a smartphone or sometimes not load at all. 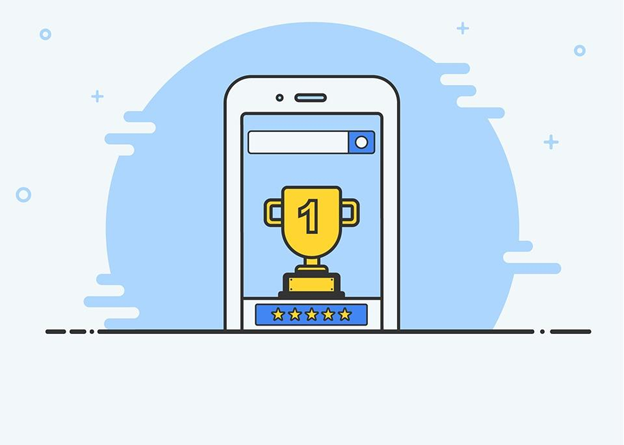 Mobile-friendliness is another factor that search engines consider when it comes to ranking websites. Meta descriptions are the little descriptions that are present right below the link of your website on the search engine result page. These descriptions act as a medium to compel a user to click your link by giving them a fair insight of what your content is about. But sometimes your meta description is not completely visible. This makes a user disinterested to click on your link. You need to find out the character limit that displays completely on a SERP and accordingly add a meta description. Google, for instance, has a character limit of 300. Also, control the web page title pixel length so that the title is also completely visible. Search engines rank you well on SERPs based on what the spiders find on your website while they index it. While indexing your content, the word count is not really a factor. However, content with more words and information tend to get a better ranking. If your content is not up to the mark and lack information, it will have an impact on your overall website ranking. Before uploading a blog content or an article on your website, learn about the topic inside out. Look for different referral points and add as much information as you can provide. Also, appropriately use keywords to make your content relatable for the search engine queries. Do keep in mind, a user will come to your website for information so make sure it is informative. Website redirection is a common phenomenon on the internet. Often people do not even notice that the webpage they clicked on just redirected them. There is nothing wrong in redirection. However, too many redirections could be a sign of keyword spamming, which can get your website flagged. Using temporary redirection to move the user from an outdated webpage to a new one can confuse the search engine as well. The search engine will continue to index the same outdated page if you do a temporary redirect. Sometimes redirection is unavoidable if your webpage becomes outdated. In such cases, stick to permanent redirection to get the new webpage indexed by the search engines. Refrain from redirection just for keyword usage as it will result in getting your website flagged. Roadblocks are common in the process of road construction. Similarly, whichever marketing strategy you opt for, it will have its own set of issues to deal with. The same applies to on-page SEO for your road construction business. But that does not mean you give up. You deal with these issues and overcome them. So if you wish to deal with the issues of your road construction website’s SEO, get in touch with the experts of SEO in Edmonton.